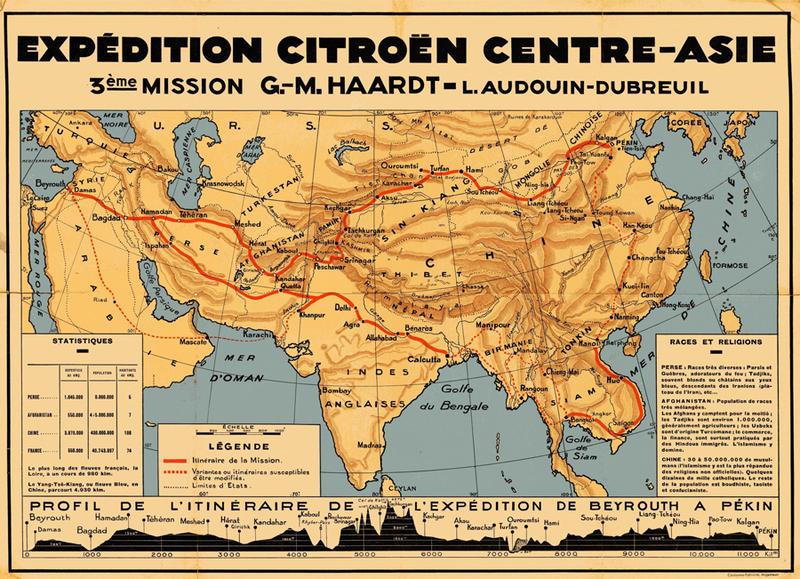 In 1928, French (but of Belgian origin, and born in Naples) industrialist and explored Georges-Marie Haardt set up an expedition through Africa, using cars provided by Citroën. The adventure was such a success – and a publicity triumph – that four years later Haardt did it again, this time crossing Asia following – more or less- the Silk Road. 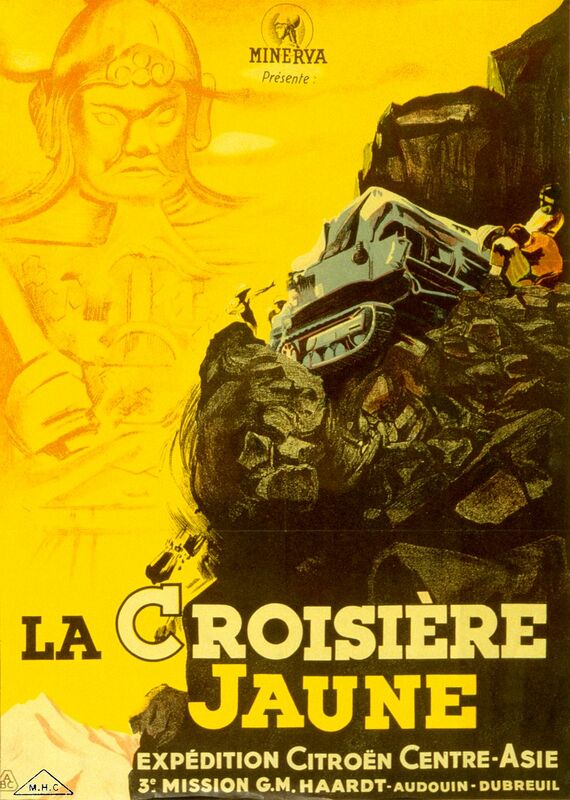 The 1928 adventure had been called The Black Cruise (Croisière noire) – so the 1931-1932 expedition became The Yellow Cruise (Croisière jaune). The official name was 3e mission G.M. Haardt – Audouin-Dubreuil. The idea was simple – 13.000 kilometers, from Beirut to Beijing. The Yellow Cruise was planned for over three years (and therefore, had been set up soon after Haardt’s return from Africa), and was supposed to skirt the Caucasus and follow roughly the 40th parallel, crossing the Turkestan on Marco Polo’s footsteps, and then cross China. But when the USSR authorities proved less than friendly, the course was altered to cross Afghanistan, and then go through the Cashmir passes. 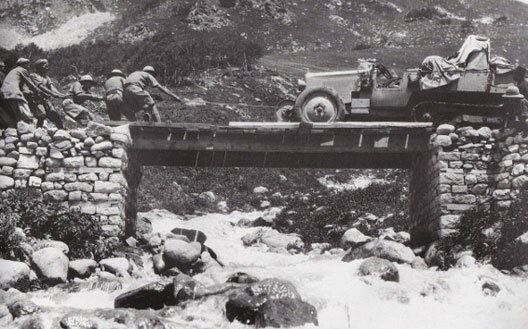 But in 1931, a few weeks before the start of the expedition, the situation in Afghanistan heated up, and thus the course was altered again, this time leading the cars to the south – and requiring the cruise to cross the Himalayas into Chinese Turkestan. The expedition was split – forming a China Group(led by Victor Point), moving West and a Pamirs Group (led by Haardt himself), moving East. And so, in the late summer, as the passes were snowing-up, a group of 23 Europeans, with their 10 tonnes of equipment, found themselves stranded in Kashgar – their only hope for crossing, hiring a crew of 400 sherpas and 200 mules, to move the lot. Even the track-driven cars especially designed for the expedition had to be hauled up by animal labor. The Pamirs group furter divided in three groups, and started up the hills. It was the beginning of an odissey that was dutifully recorded on film. 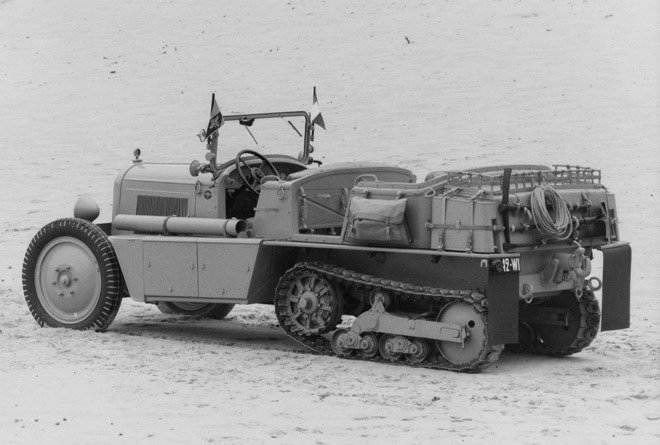 The planne droute being impossible to follow, the adventurers and their train had to find alternative paths – where the tracked vehicles could not go, and therefore Haardt had to be disassembled and packed in 30kg packets to be transported. Meanwhile, the China group met troubles from the start, when the tracked cars malfunctioned, requiring a special delivery of spare parts. Later, a Gobi desert sandstorm stopped the expedition, delaying its course. Once in Sinkiang, the expedition met a number of deserted villages, and later were stopped by the Sinkiang warlord, that feared the film crew that was part of the expedition might capture scenes of combat and civil unrest, thus making for bad propaganda. Victor Point, leader of the China Group, had to use a trick to set up a radio transmission to inform the Pamirs Group of the going ons, and require external support. Once reunited, the two groups – under the name of Grande Expédition sino-française de la 19e année, to please Chiang Kai-shek – reached Peking in February 1932. From there, Harrdt extended the planned course to Shanghai, and then to Hong Kong, with final destination Hanoi and Saigon. The reason for this choice was simple – it was the fastest course away from the Chino-Japanese war. Haardt, the brain of the whole expedition, did not make it to French Indochine – he died of pneumonia in Hong Kong, paying the price of the hardships he suffered, with his team, on the Roof of the World. Categories: Companions on the Road | Permalink.